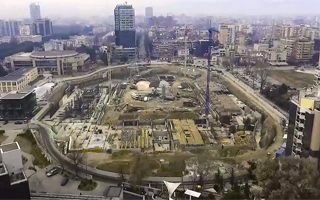 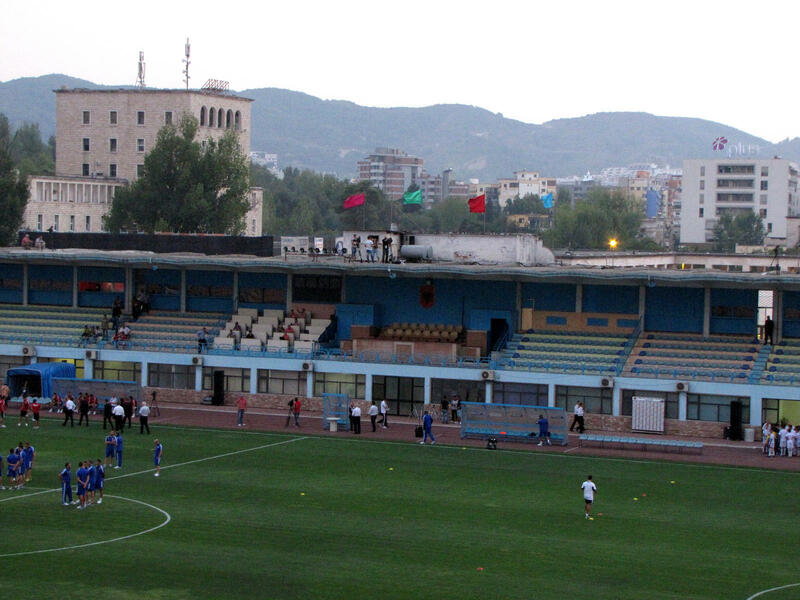 National stadium of Albania faced a difficult start as soon after construction works commenced WWII broke out and when allied Italian authorities capitulated, works were halted. 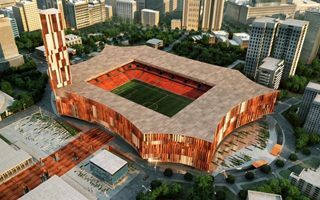 Before that it was planned, just like in Italy, for the stadium to be covered in marble, worthy of being the country's most prestigious venue. 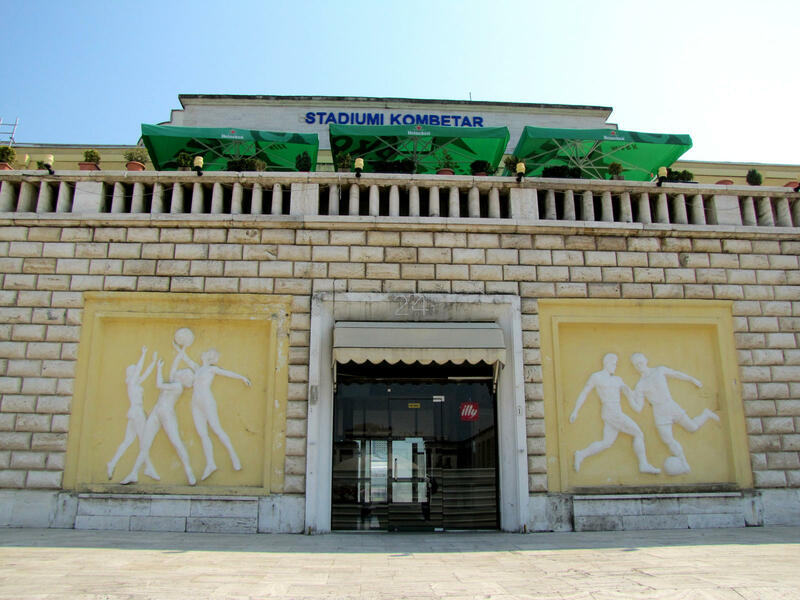 However, German invasion (Nazis garrisoned their army there) and the influence on Albania's stability caused for plans to be reduced, with only the main grandstand receiving its impressive front facade. 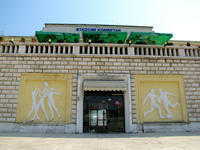 Construction was finally done two years after liberation, in 1946. 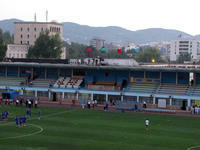 The ground received Qemal Stafa, war hero's name. 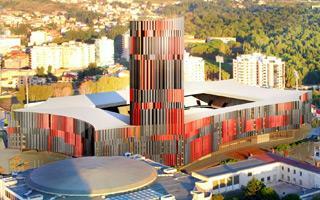 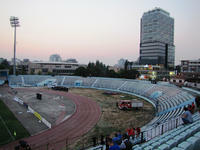 Inauguration in Autumn brought Albania and other Balkan countries to compete in Balkan Cup, won by the hosts. 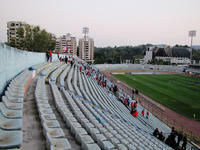 As Tirana was growing very rapidly, so was the demand and in 1974 the east stand received a second tier, allowing for the stadium to reach 35,000, though mostly standing places. 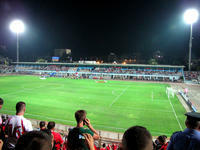 Along came first scoreboard, but floodlights didn't – it wasn't until late 1990's that Tirana witnessed their first night game, just after the ground became an all-seater, losing over 15,000 in capacity. 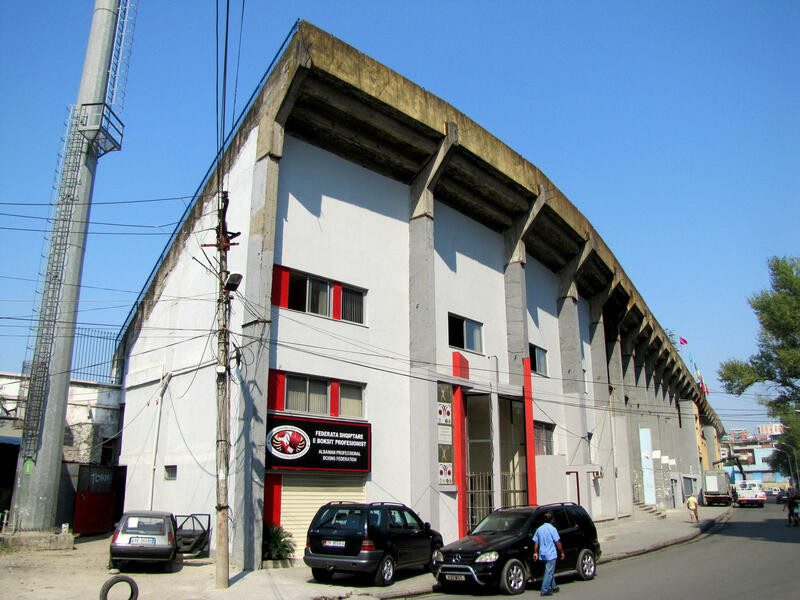 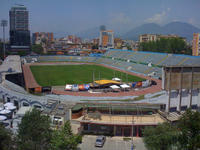 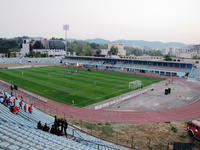 Due to it being the national stadium it hosted most of the prestigious Albania international fixtures, with everyday use provided by KF Tirana, Dinamo and Partizani clubs. 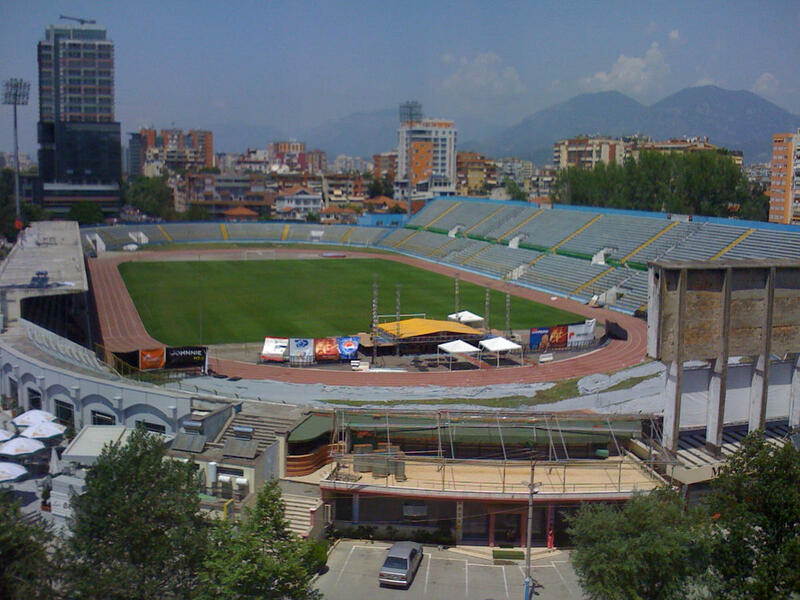 Many track and field events were also held as the ground has a running track from the start. 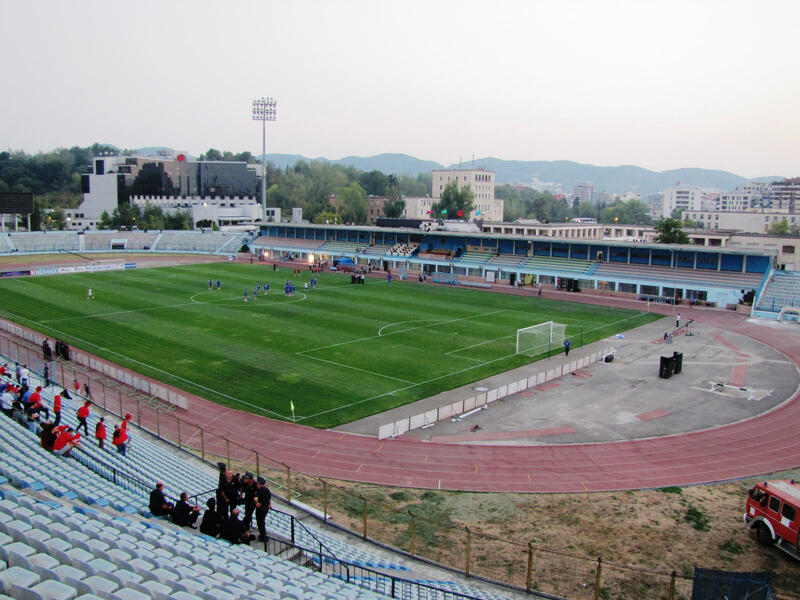 Interestingly, the distance between stands and pitch is relatively short alongside the pitch and track, but unreasonably long on ends with even 60 meters separating first row from the goal and 20 from the running track(!). 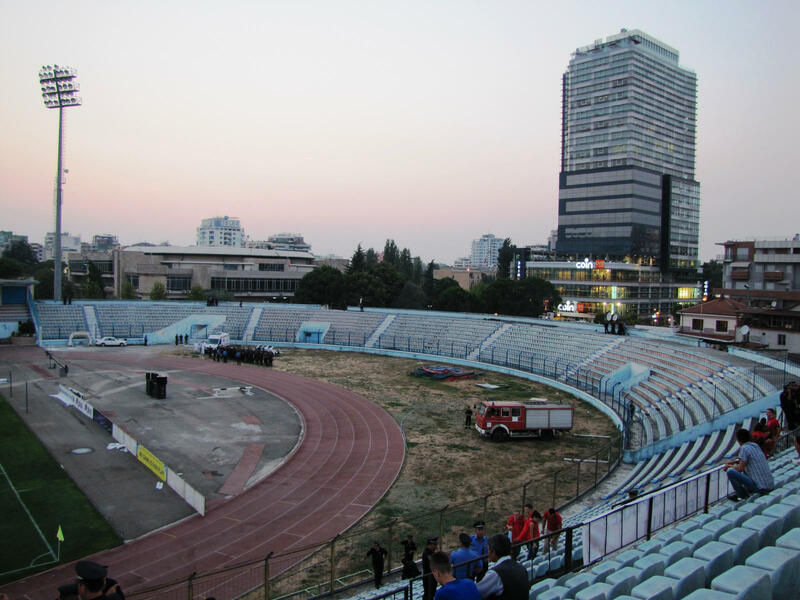 On May 20, 2016 the stadium was finally closed and demolition followed shortly afterwards, in order to make way for the new national stadium.